Photo from The Nutcracker, 2003. Central Indiana Dance Ensemble was founded in 1999 by artistic director, Suzann DeLay. The company is committed to providing cultural and educational enrichment to the central Indiana community. The company provides an environment for aspiring young dancers to learn, practice and perform in a pre-professional atmosphere, in a variety of dance forms. 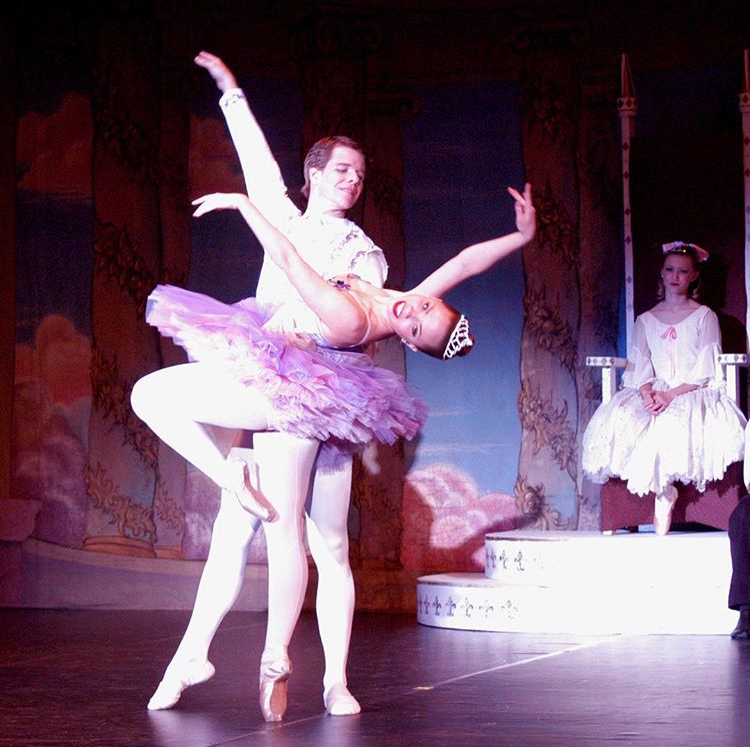 Annually, Central Indiana Dance Ensemble performs a full-length production of The Nutcracker. Students from all over central Indiana participate with company members to comprise a cast of over 100 dancers. We continue to offer performances to area Girls Scouts and other children’s organizations as well as complimentary performances of The Nutcracker to children from the inner-city schools. A repertory concert is presented in mid-winter, showcasing the Senior and Apprentice dancers. The company also presents a full-length spring production, which in the past have included such favorites as Cinderella, Peter Pan, Alice in Wonderland, Snow White, The Sleeping Beauty and Coppélia. Promoting the arts through ongoing outreach programs provides the members of Central Indiana Dance Ensemble the opportunity to give back to the community. In 2006, Central Indiana Dance Ensemble received Honor Company status in the Regional Dance America association. Members of Central Indiana Dance Ensemble have been recipients of scholarships to many of the top companies and schools including: Boston Ballet, Joffrey Ballet, Milwaukee Ballet, Miami City Ballet, North Carolina Dance Theatre, Pacific Northwest Ballet The Rock School and School of American Ballet. Graduates of the company have joined Dayton Ballet, Fort Wayne Ballet, Richmond Ballet, Arkansas Ballet, Charlotte Ballet, Ballet Theatre of Indiana, Nashville Ballet II, North Carolina Dance Theatre II, Milwaukee Ballet II, Minnesota Ballet, Nevada Ballet, Pacific Northwest Ballet, Butler Ballet and Indiana University Dance Theatre.